We’ve got your Hawaii inter-island deals covered. 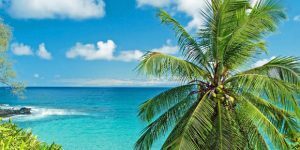 After Southwest Hawaii deals were announced today, Hawaiian Airlines countered with their own Hawaii inter-island fare sale on competing routes, and it is great. We simply don’t recall the last time there were fares this low. 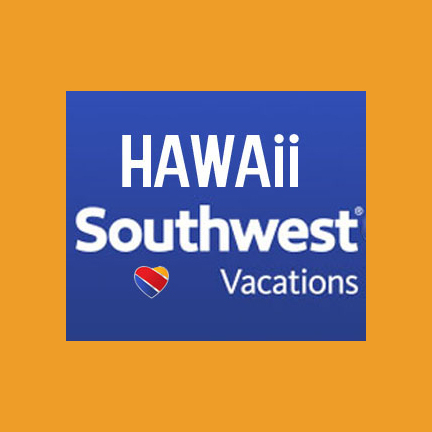 See Southwest Hawaii Deals $29-$99 Each Way | Live Updates. These $29 fares are starting in April/May and go until June, depending on route. From June through September, they start at just $49. Many weekend dates are included as well! 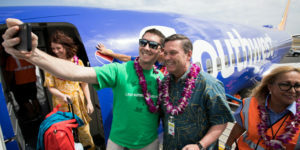 More islands will undoubtedly go on sale soon, as additional routes are announced for Southwest Hawaii flights. Cheap flights to Hawaii for island hopping are now on but could end at any time. For best availability get these immediately. Travel most days a week on these routes. There are no blackout dates. These fares are new as of March 4, 2019! To find sale fares, use Hawaiian Airlines link. 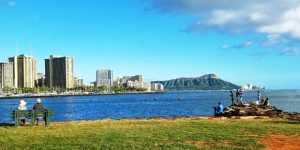 These competitive inter-island fares were just released by Hawaiian Airlines. From $29 each way including all taxes and fees. Read on for other important details. Fares below include assigned seating (which Southwest Hawaii does not offer). These do not include checked bags (Southwest offers two free). Routes and sample prices each way. Travel dates and conditions: Travel from April until June from $29, and from June until September from $49, depending on route. Availability varies by time of day, day of week, and route. Beat of Hawaii photo at Waikiki. Yes, please come over! Hope to see you soon. We look forward to that! Apparently Inter Island flight promotion prices are already over. Sad. Is anybody else having trouble with Hawaiian Airlines website? Says the Origin/Destination requesred is not valid? (Hnl – ogg)? Crashed bc of this deal maybe? as I understand, the first flights will be from OAK to HNL (with more routes being added later this month). I “tested” Southwest’s webpage (just to see what happens) and I too received the same error as you. Although at the bottom, it said “if you have problems, please contact the reservations desk. I guess they’re still getting things worked out. Yes it seems both Southwest and Hawaiian have had some website issues today, as we experienced and has been reported by our visitors. Ugh – we have a family vacation scheduled at Ko’Olina the last week of June and were waiting, hoping to get that $99 each way. No such luck! Still over $400/pp for us from Oak to HNL. Disappointed. Are interisland tickets cheaper, if you buy them at the airport versus online. When is the best time to book inter island travel for our fall trip to Kauai and Maui? BTW, REALLY appreciate your helpful info! Thank you. There may be inter-island fare sales if you want to wait. However, given there is no competition, don’t expect anything very significant and best prices are on flights that are in less demand. Frankly, you are probably better off buying sooner than later (as soon as you book mainland flights), in order to get the times and seats you want. Another sale, similar to today’s is possible. Best times are typically more money, so cost is quite related to time of day. That’s where we always get stuck. The links don’t send me to another site. I click on the links and nothing. Please help! Link to Hawaiian Airlines. Then follow instructions in post. We have a points ticket to Oahu (arriving Sept 7, departing Sept 18), but would like to see at least Maui as well. Are there any current airline deals you know of for inter-island travel or Island hopping (still trying to convince my wife to also see the Big Island)? A subscriber to your lovely newsletter from the other side of the world: the Netherlands. You can look forward to nonstop flights between Europe and Hawaii very soon! Yes we will have more inter-island deals for September. Having said that, the current price in that market is $64 and it is doubtful that it can improve beyond that. So might as well buy if you are ready. We put this together for exactly this type of question. Let us know if you still need anything after checking out this 7 part post. 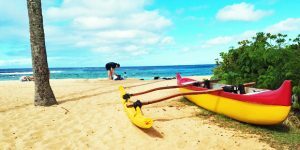 Please help us with some guidance on flights from Raleigh to Honolulu starting mid August to just after Labor Day. We haven’t seen any sales worth taking so far. What can we expect for our time frame? How long should we wait? Thank You for your help and input! There is a $751 airfare on United starting 8/23 if that helps. Good price. Not sure if that might expand or not. Capacity should be good so doubtful you’ll have any problem if you want even into August. Probably $500 is a good budget into one airport and home from the other. Plus the inter-island cost which is time of day and day of week dependent. Could be less, and definitely safe to wait on that if you choose. We will be traveling in Oct. From Honolulu to Hilo, and 5 days later from Hilo to Honolulu. Should i book fares now or wait. Thanks for your help. You’re probably good either way. Might have some better pricing for fall if you wait. On the other hand it doesn’t vary by that much if you prefer to have it all set now. We answered this question on 6/21 when you posted it here: https://beatofhawaii.com/the-cheapest-time-to-fly-to-hawaii-is-coming-soon/comment-page-179/#comment-24847. Hi! I am new to this site and I am looking for air fair specials from the DFW area to Kona end of July. Are there any specials or promotions offered to save on air fair? Should I go ahead and book now or wait? Help please! Mostly $1,000 or more in summer. Don’t expect these to come down. Some dates with as little as $770 on multiple carriers, but with duration of about 18 hours instead of 10 hours. Only discovered your site. It looks that we just missed the inter-island flight sale :(. We are looking for multiple ones during July/Aug. How often does HawaiiAirline run the inter-island flight sale? This site has been such a blessing. We probably saved at least $200pp on our flight to Hawaii following the fare sales posted here. Thank you. My question is similar to Roy’s. Missed the last big inter-island fare sale and we need to fly from LIH to KOA in early June. Should I go ahead and book what’s available or hold out for a last minute sale? Thanks for the advice. Suggest buying now. Early June isn’t too lkely for an inter-island far sale and the savings wouldn’t be worth the inconvenience of not having the flights/seats you’d like. Need to book several one way inter-island flights for Sept timeframe. Currently Hawaii Air showing $69-$104 one way rates per person. Should I book now or wait for possible Sept specials to be announced soon?